Mom's Gone Bronson! 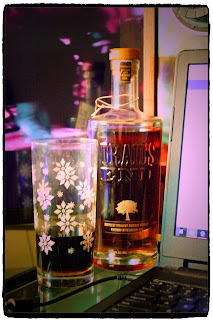 : Trail's End Kentucky Straight Bourbon Whiskey Hits The Nail on the Head! 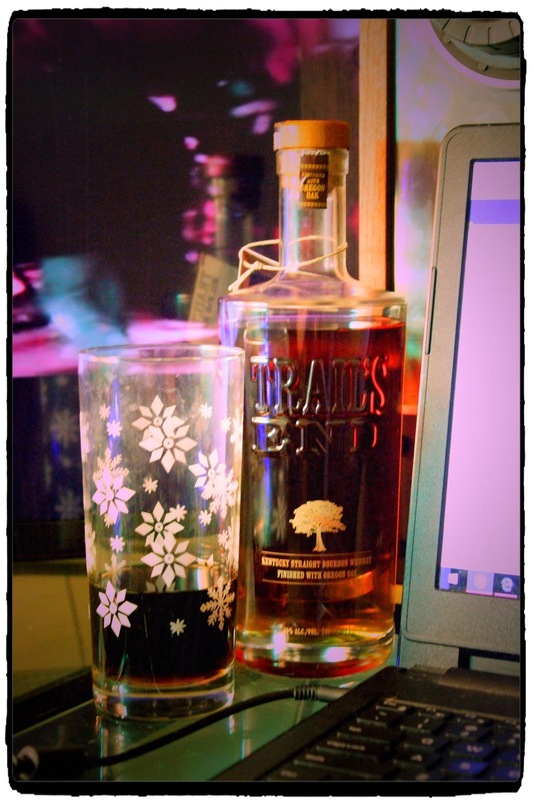 Trail's End Kentucky Straight Bourbon Whiskey Hits The Nail on the Head! Disclaimer: I was provided with products in order to share my honest opinions. Your views may differ to mine. Please enjoy responsibly. Thank you! One drink that I love is Bourbon. If I were to walk in to a bar and be told that I could have pretty much anything I'd like then the first thing i'd ask for is usually a bourbon and coke to take the "edge" off if the drink is on the cheaper side, or on the rocks if it is a little more expensive. Now, I am not an expert on bourbon, I don't drink it enough for that, but I have tried enough in my lifetime (having used to live and work in a bar) to know a good one when I find it - and Trail's End hits the nail on the head with this one. Opening the bottle, an air of peaches, sweet florals, a little caramel in there, too - nothing overpowering, but all-together very inviting on the nose. On its own, without a mixer, I get a creamy, light, chocolaty and slightly nutty flavor with a warming touch on the tongue and a slight hit on the back of the throat tinged with a little low spice as it goes down. It is SO smooth that you could easily enjoy one or two shorts without another thought, but if you love a longer drink, it does mix well, too. I mixed a shot of Trail's End with a little cola, nothing too much, but enough to taste and then I tried a longer drink with extra cola and lots of ice. 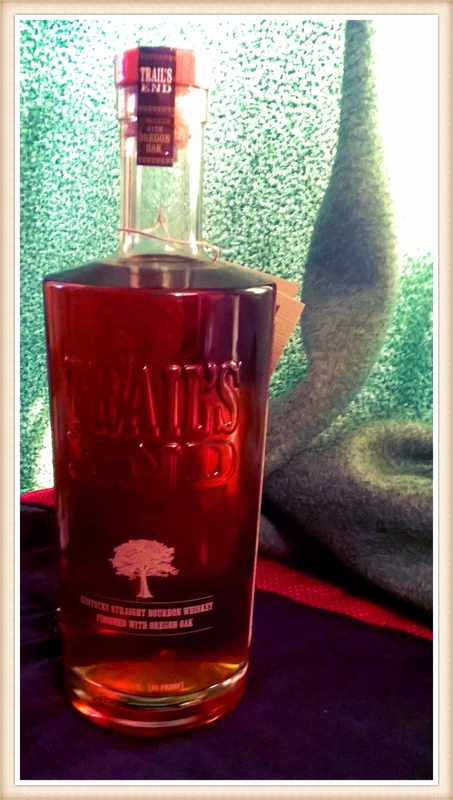 The flavor kept well all ways, but I just adore this on its own, without anything added at all for a nice, light, Kentucky Straight Bourbon Whiskey I could absolutely get into any day of the week and for any occasion. 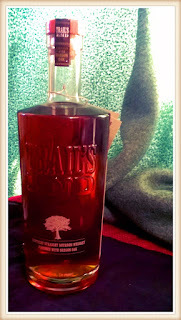 At about $49 a bottle, I had high expectations of Trail's End and really didn't know what to expect. However, from start to finish, Trail's End really scores top numbers across the board from me and wins in every direction. I would absolutely turn up to someone's party with this for New Year, or gift for a special occasion. It is a drop meant to be shared and which could easily help get memories made. To find out more about Trail's End and the story behind it, you can head on over HERE. You can also find out more on Twitter, here, too! One of my new favorite's this year and would be happy to see in 2017 with this one by my side! Please enjoy responsibly, but enjoy all the same - one you won't want to miss out on, and which you'll definitely want to visit with again.